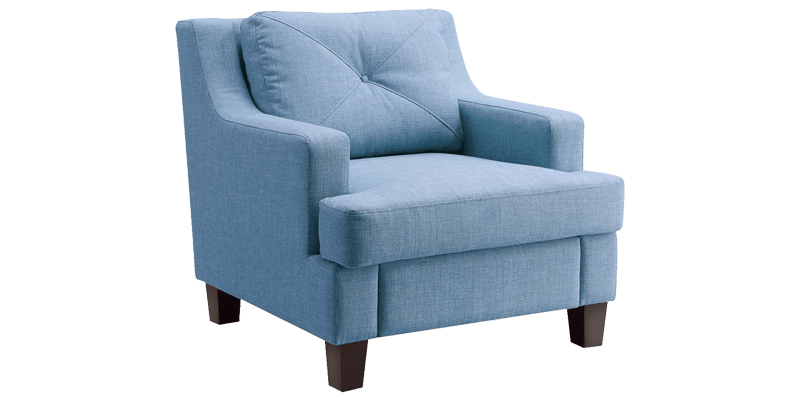 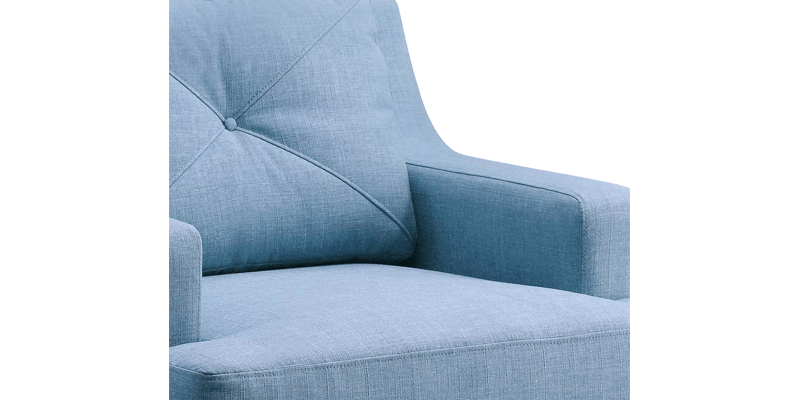 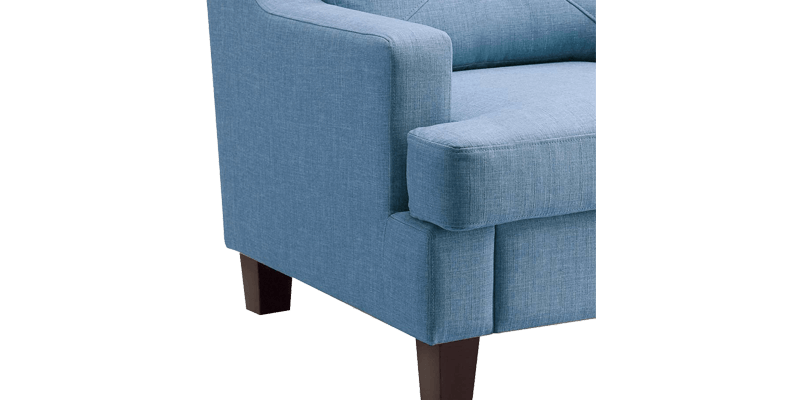 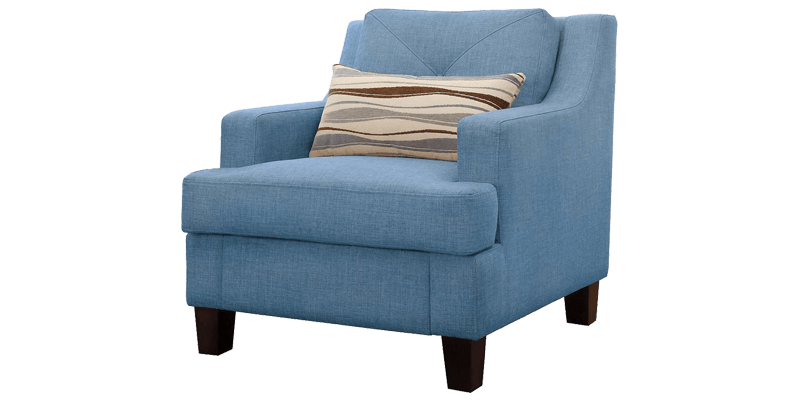 Accent the living room with this blue modern club accent chair that speaks lounge in style. 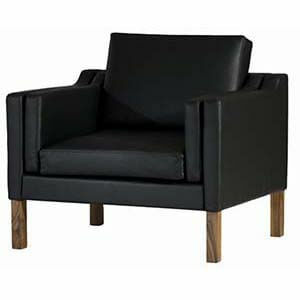 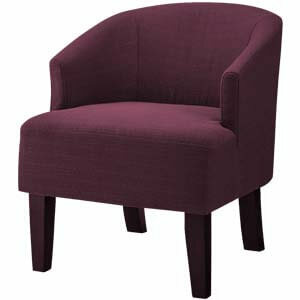 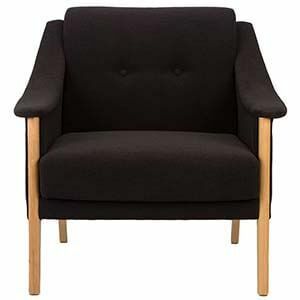 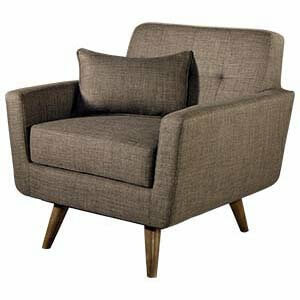 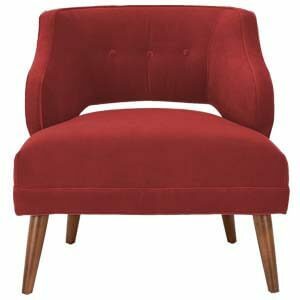 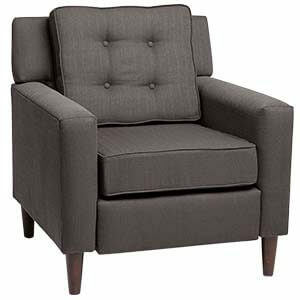 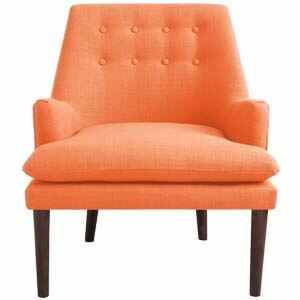 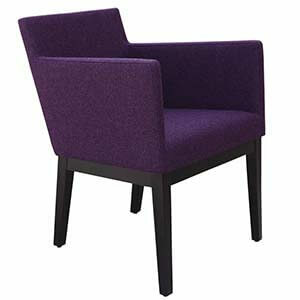 Handmade, featuring a wide club-esque boxy silhouette, it offers plush seating. 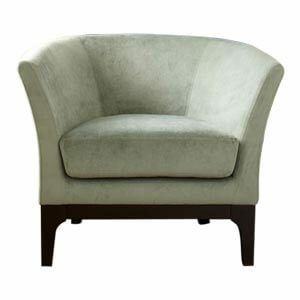 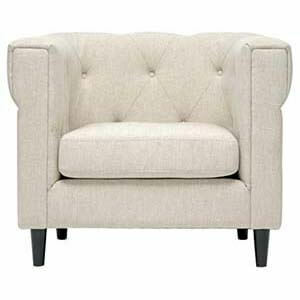 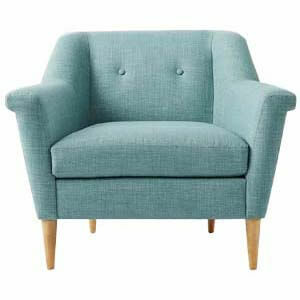 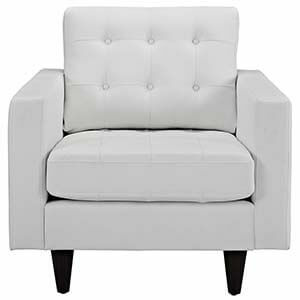 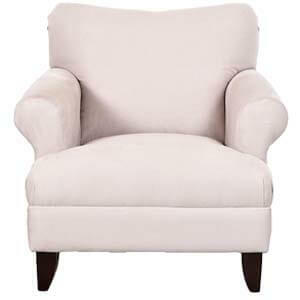 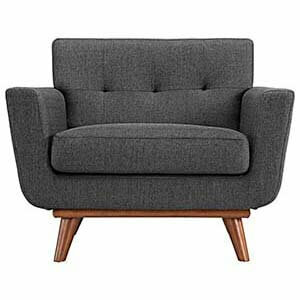 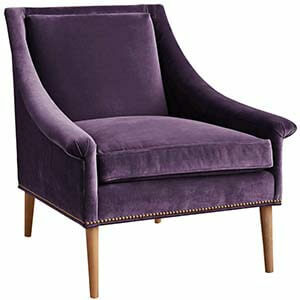 Fully upholstered with button-tufted back and T-seat down cushions and short tapered legs lend it character.